A soft chunky weight yarn that knits and crochets up quickly. Ideal for kids and babies. 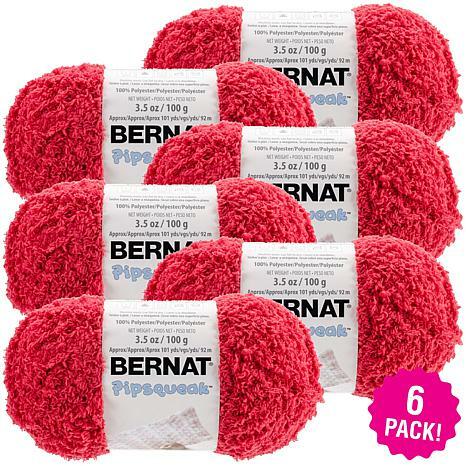 This multipack contains six balls of yarn. Weight category: 5. Content: 100% polyester. Putup: 3.5oz/100g, approximately 120yd/109m. Gauge: knit: 11st x16r = 4in/10cm on size US9/5.5mm needles, crochet: 9sc x 12r = 4in/10cm on size I9/5.5mm hook. Dyelotted: we try but are not always able to match dye lots. Care: machine and dry, do not bleach or iron, dry cleanable.